Whether as a keynote speaker, a workshop leader, or a trainer for boards of directors, Norris gets audience members shifting their perspectives as he arms them with action steps and resources to become better equipped to handle their business, their health and their life. Beren has more than 40 years experience as a CEO working with CEOs in businesses ranging from start-ups to 100MM of revenue. A recognized authority, consultant, speaker, trainer and author on risk reduction, business growth, strategic and management issues, he is known for helping business executives avoid staying up at night worrying about their business and personal issues. He has made a career giving people �Straight Talk on Tough Topics�. His primary focus is helping business owners and CEOs who are �stuck� in their business because of inability to grow or inability to spend more time working on the business rather than in the business. Beren has appeared on a variety of news and talk outlets including Fox News Channel, MSNBC, CNN, ABC Radio News, NBC News, Code Red Radio and other shows around the nation providing expert commentary. He has been quoted in the New York Times, Chicago Sun-Times, Fortune Small Business and countless newspapers across the country. His op-eds have appeared in NewsMax, Pensacola News Journal, Gainesville Sun, Florida Times-Union, Lakeland Ledger and numerous papers and trade journals nationally. Beren has a B.A. in Sociology from the University of Illinois and attended John Marshall Law School in Chicago. He has worked with over 1000 companies around the United States. The author of five books on business-related topics, Beren also produces his own online radio program, interviewing thought leaders and experts on select topics. He can be reached at 847-514-6767 or norris@rredinc.com. 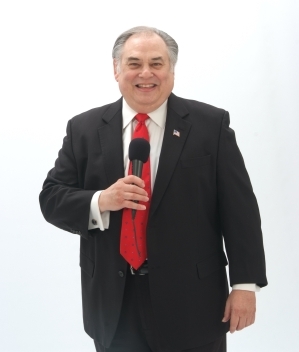 Find out more about Norris Beren at http://www.speakermatch.com/keynotespeakers/1280839561.htm.